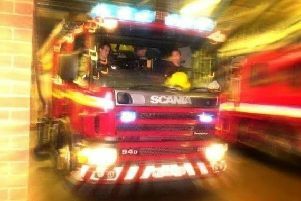 A cellar fire in Longridge has caused smoke damage to two properties. The incident, at 12.15am this morning, was described as "accidental" by fire crews who attended the address in Stanley Street. Preston and Longridge fire crews used two water pumps to extinguish the flames which watch manager Nick Birks said "caused minor damage to the cellar, upstairs and the property next door". No-one in either properties were injured.